Mental health problems and mental health related mortality have increased among adolescents, particularly girls. These trends have implications for etiology and prevention and suggest new and emerging risk factors in need of attention. The present study estimated age, period, and cohort effects in depressive symptoms among US nationally representative samples of school attending adolescents from 1991 to 2018. Data are drawn from 1991 to 2018 Monitoring the Future yearly cross-sectional surveys of 8th, 10th, and 12th grade students (N = 1,260,159). Depressive symptoms measured with four questions that had consistent wording and data collection procedures across all 28 years. Age–period–cohort effects estimated using the hierarchical age–period–cohort models. Among girls, depressive symptoms decreased from 1991 to 2011, then reversed course, peaking in 2018; these increases reflected primarily period effects, which compared to the mean of all periods showed a gradual increase starting in 2012 and peaked in 2018 (estimate = 1.15, p < 0.01). Cohort effects were minimal, indicating that increases are observed across all age groups. Among boys, trends were similar although the extent of the increase is less marked compared to girls; there was a declining cohort effect among recently born cohorts, suggesting that increases in depressive symptoms among boys are slower for younger boys compared to older boys in recent years. Trends were generally similar by race/ethnicity and parental education, with a positive cohort effect for Hispanic girls born 1999–2004. Depressive symptoms are increasing among teens, especially among girls, consistent with increases in depression and suicide. 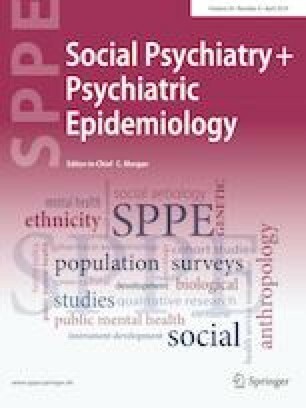 Population variation in psychiatric disorder symptoms highlight the importance of current environmental determinants of psychiatric disorder risk, and provide evidence of emerging risk factors that may be shaping a new and concerning trend in adolescent mental health. The online version of this article ( https://doi.org/10.1007/s00127-019-01697-8) contains supplementary material, which is available to authorized users. Monitoring the Future study is funded by National Institute on Drug Abuse Grant R01001411. The authors report no conflicts of interest and have no financial relationships with commercial interests.